An ontology is a formal description of knowledge as a set of concepts within a domain and the relationships that hold between them. To enable such a description, we need to formally specify components such as individuals (instances of objects), classes, attributes and relations as well as restrictions, rules and axioms. 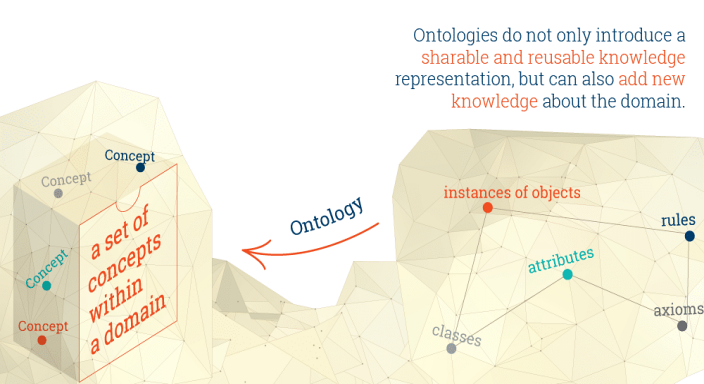 As a result, ontologies do not only introduce a sharable and reusable knowledge representation but can also add new knowledge about the domain. 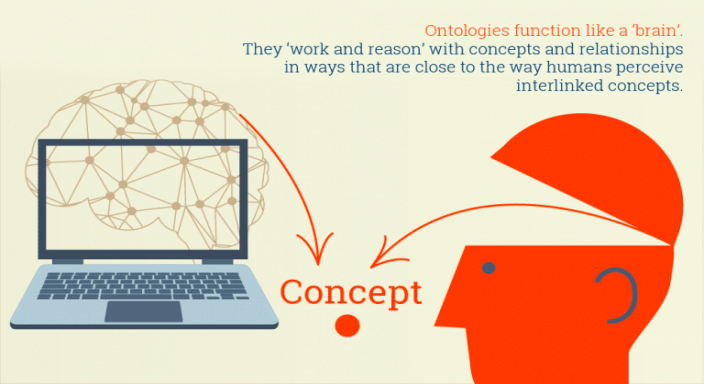 Some of the major characteristics of ontologies are that they ensure a common understanding of information and that they make explicit domain assumptions. As a result, the interconnectedness and interoperability of the model make it invaluable for addressing the challenges of accessing and querying data in large organizations. Also, by improving metadata and provenance, and thus allowing organizations to make better sense of their data, ontologies enhance data quality.